C. Randall Harrell, M.D. is the Founder, Chairman, and CEO of Regenerative Processing Plant, LLC. He has worked for over 30 years to become a pioneer and visionary in the field of regenerative medicine where his discoveries and patented platform technologies in the study of Type III human collagen, stem cells, pericytes, exosomes, and novel bioengineered placental derived biomaterials have lead to the developments of first in class clinically proven regenerative medicine therapies. Dr. Harrell started his career as a research scientist at Emory University, studying immunology. He was recruited after medical school by Dr. Michael E DeBakey, the Father of Cardiovascular Surgery, to study at the largest medical center in the world, the Texas Medical Center. He did his general surgery and plastic surgery training there as well as ran a large burn and wound unit at the Michael E. DeBakey VA. Dr. Harrell also did a research fellowship in regenerative medicine where he developed the first patented regenerative human Type III Human collagen dermal filler. He is a Board Certified Plastic Surgeon and a member of ASPS and ASAPS. In addition to RPP, he is the Founder, Chairman, and CEO of Albiorex and Regenerative Medicine International. Dr. Harrell has co-authored numerous scientific papers and books about regenerative medicine and has lectured extensively in the US and Internationally. He also has multiple issued novel patents in the field of regenerative medicine. Dr. Harrell was nominated for the Nobel Peace Prize for his medical missionary work in Central America. Chief Science Officer Consultant, Member of Science Advisory Board. Dr. Tayot is responsible for the collagen manufacturing process and technologies. Dr. Tayot is CEO of Khorionyx, a French Human Biomaterial Company. He retired December 2005 as the Chief Scientific Officer of Floreane Medical Implants, a leading French medical device company, and General Manager of its subsidiary Imedex Biomatériaux. Dr. Tayot has 20 years of R&D experience dedicated to collagen and to the extraction and commercialization of valuable biomaterials from human placentas. Through Imedex, he spent $20 million and 15 years developing and refining the collagen manufacturing process technology that is now exclusively available to Albiorex. Dr. Tayot holds numerous medical device patents related to the production, manipulation and use of collagen in numerous medical applications and has successfully launched products in the U.S. and other regulatory environments. He also led Aventis-Pasteur’s R&D and enzyme production operations where he eventually sourced and processed 20 tons of human placentas per day. 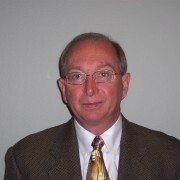 Richard T. Welch - Mr. Welch is a Certified Public Accountant (Louisiana Inactive) and graduated from Louisiana State University in 1973 with a Bachelor of Science in Industrial Management followed by Accounting in 1977. Mr. Welch is also a Series 79 Registered Investment Banker currently unaffiliated. Mr. Welch has managed or advised on all aspects including valuations, deal structure, and negotiations of 50 plus completed M&A transactions aggregating over $ 1 billion in enterprise value, and over $ 1 billion in funded capital transactions covering the spectrum of the capital structure. Over his career Rick has also served as an advisor for strategic, capital structure, and business development matters for startup and large private companies; as a director, chairman of board, chair of special committees, and chair of the audit committee of publicly traded companies; and in different operations and management roles for private companies. A former news anchor for major network affiliates, our spokesperson, press representative and media (video, still and audio) producer. Marissa seeks out new business pathways to make money and bring Dr. Harrell’s vision to fruition. Todd Wiseman is a seasoned executive who has logged over 17,000 negotiations and $1.4 billion in contracts. An economist by education, Wiseman’s sales, and marketing leadership was mentored, tested, and honed by all of the major television network affiliates including NBC, FOX, CBS, ABC and Telemundo over a thirty-year period. The parent companies included Media General, Sunbeam, Gannett, Tegna and Cox. As a Senior Vice President for the Tampa Bay Lightning Hockey Team, he enjoyed an NHL Stanley Cup championship that parleyed into Major League Baseball contract negotiations and athlete representation spanning seven years. Wiseman has owned several payroll & staffing companies, holds one utility patent and has a significant software patent pending in the pharmacy vendor portal space. He is currently serving as VP of Business Development for Regenerative Processing Plant, the world leader in sterile, acellular exosomes delivery to treat a variety of conditions including ocular and chronic pain, wounds, and COPD. Mr. Wiseman is happily married to his wife of nearly 33 years and together they have four adult children. Dr. Fellabaum is a BioMedical and BioChemical Engineer. She brings to RPP over 25 years of engineering, operations management, and quality assurance experience in the medical and insurance industries, having worked closely with multiple governmental regulatory agencies. Dr. Fellabaum is the co-author of multiple peer reviewed, published, scientific papers in the field of regenerative medicine, as well as contributed as an author for the book "Stem Cell Biology and Regenerative Medicine" (please see her Orcid ID link below). 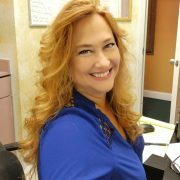 She has also served as a corporate trainer and quality control manager and as a licensed Neuromuscular Therapist, having worked with various professional sports agencies. Dr. Fellabaum has her PhD in Biomedical Engineering, a Double Master’s Degree in Sports Medicine and Biomedical Engineering and a Bachelors Degree in Chemical Engineering. She comes from a strong military family with her son currently serving in the Army and her father a retired Marine. She also has a daughter in college working towards her medical degree. Dr. Newcomer has acted as president and CEO of several large corporations. In this leadership capacity, these companies received awards from all levels of government, from the city level to recognition from the United States Congress. Putting his business savvy, research, and medical knowledge into practice, he designed and built two medical clinics, research laboratory and wet labs based on FDA regulation. Received cG LP, cGTP, ISO-9000 certifications which extended his knowledge of FDA regulations, BLA, IRB, TND, 36 l, etc. In the subsequent years, the clinic treated patients and preformed studies on numerous diseases with Amniotic and adult stem cell therapies with great success. He has seen with his own eyes the miraculous benefits patients have received from the amnion and adult stem cells treatments developed in the clinic’s research lab. 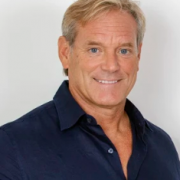 Over the years his research he has developed hundreds of products, protocols, and Intellectual property in the field of amnion and adult stem cells for Age-Related Disease Prevention, Anti-Aging, Age Rejuvenation, burns, wounds healing, and other diseases. In 2012 Dr. Newcomer formed World Stem Cell Institute, an IRS and state-approved non-profit 501 (c)(3) agency. The World Stem Cell Institute operates independently fulfilling a different strategic mission and goals under different management and control. The institute conducts patient outreach, education of the general public. Dr. Newcomer has remained at the forefront of the Anti-Aging & Age Rejuvenation field for several decades. His favorite endeavor is research that may turn back the clock and reverse the aging process, spending many hours in the laboratory to make it come true.